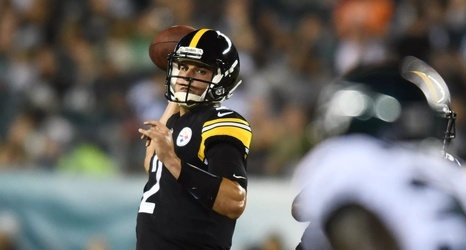 A few hours ago, the internet was ablaze with a newly-minted controversy surrounding Pittsburgh Steelers’ QB Mason Rudolph and an apparent deflated football. However, the NFL is already debunking the issue. Last night, an Eagles Sideline reporter named Howard Eskin reported and tweeted that a third quarter incompletion from Rudolph was done with the use of a football that was “like a marshmallow”. Eskin went on to chastise “the quarterback”, as he called him twice without using his name, for using the ball and wondering aloud if he has small hands to do such a thing.